I mentioned in my Rebranding blog post about investing in your blog, especially when it comes to the visual aspect. However it is a lot easier to just write that down and forget that everyone has a different budget, some larger than others and this can affect their blog and limit the investment that they can put into their blog. Blog designs are an expensive commodity especially if you want it to look professional. I would love to be able to custom design my blog design but it can cost over £500 which I could never afford so I only ever design it myself or buy a premade one. It is a common myth that premade designs aren't great or any that are cost a lot. Esty is my favourite place to browse for the perfect premade design. There is an amazing range all made to a professional standard and most importantly don't break the bank. 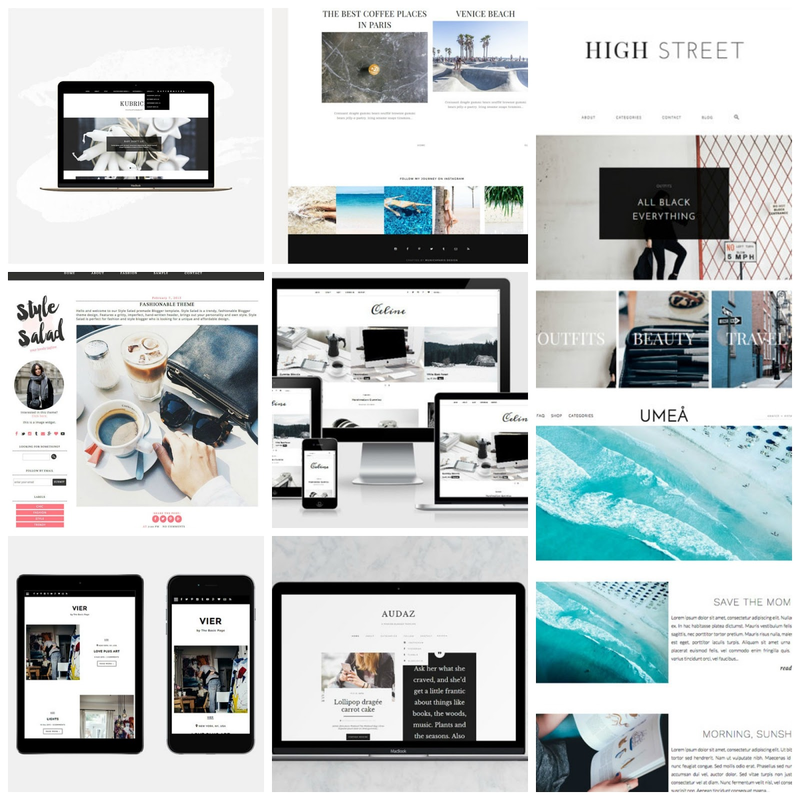 My favourite style of blog designs at the moment are magazine style ones. This style not everyone loves but I think it looks so pretty and can really make your photos and posts look really 'together'. Another thing which I love about most of these designs is they are so simple to install, responsive so your design looks amazing no matter what device you are using and I have found that the designers are really helpful if you have any issues. If you are wanting to buy a new design I couldn't recommend Esty anymore. What are your favourite blog designs ?